I did go outside today (yes I took a break from my to-do list!) to eat at Kabul Kabab House in Flushing. Do go there! It has really good food. 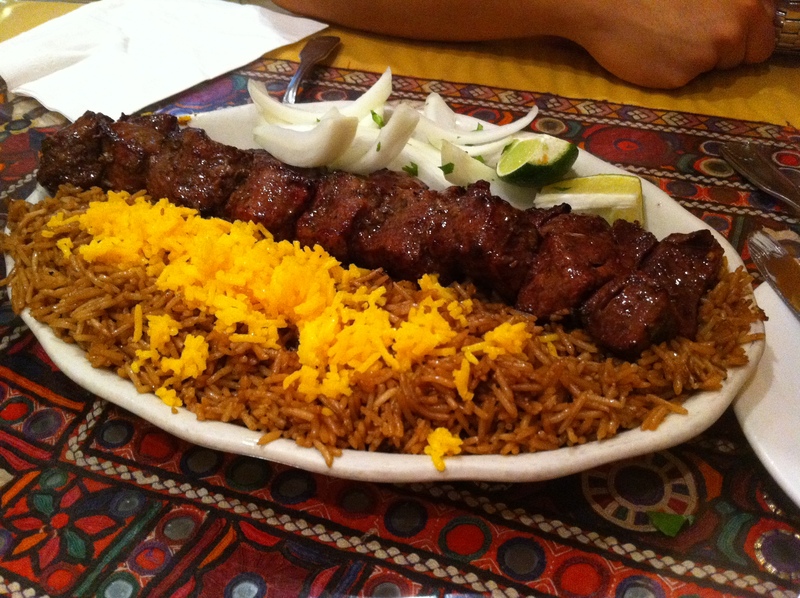 I recommend getting the combo #1 with Kabab Barg (filet mignon) and the lamb kabab with brown rice. It comes with pita bread and a salad! It’s cash only and they add the tax and service charge onto the bill. It came out to $31. Posted in Journal and tagged barg, brown rice, flushing, good food, kabul, kabul kabab house.